When it comes to marketing data, quality over quantity applies. Marketers must excel at bringing structure and meaning to numbers, and then be prepared to adapt strategies in real time based on the results (or lack thereof). Watch on-demand as Keith Moehring (@keithmoehring) discusses 12 ways marketers can dive deep into data to reallocate resources and drive results. Fill out the form to the right to gain access to the full recording, and learn how understanding your marketing data affects performance and real-time change. 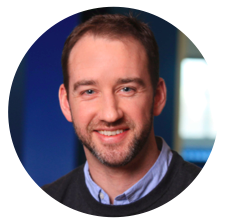 Keith Moehring (@keithmoehring) is the vice president of strategic growth at PR 20/20. With more than ten years of experience, Keith oversees the strategy and activation of client inbound marketing campaigns. He specializes in dissecting analytic data, and has deep interests in exploring new technologies.